Chakra Clearing and Balancing Kit. 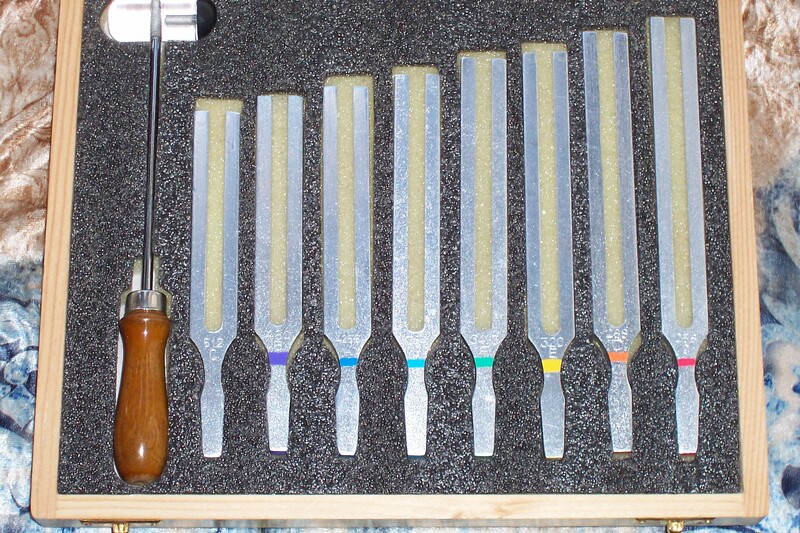 This set of 8 tuning forks are color coded according to the chakra they resonant with. Then as a bonus you get the tuning for for crystal clearing and charging. This is color coded as gold. All of this with a rubber hammer and a great case. Wonderful for the healer on the go.